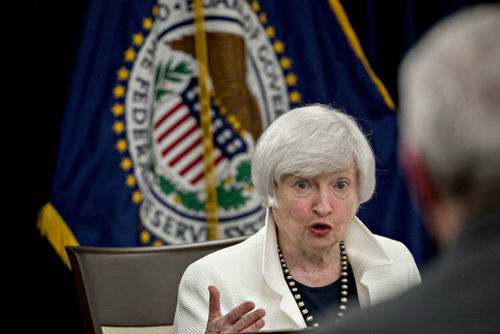 Federal Reserve Chair Janet Yellen says the central bank may have been wrong on employment and inflation. In a speech in Cleveland, Yellen explained that the misreading could lead to easier policy than expected in the unwinding of its balance sheet. However, she maintained that the central bank should stick to its rate path. The hawkish stance pushed the dollar index to an almost 1-month high. Meanwhile, President Trump is reportedly backing framework for tax reform that the so-called Big Six group of senators is set to unveil today. Trump's full support is seen as crucial for the plan, which Wilbur Ross said could deliver a big boost to the US economy. 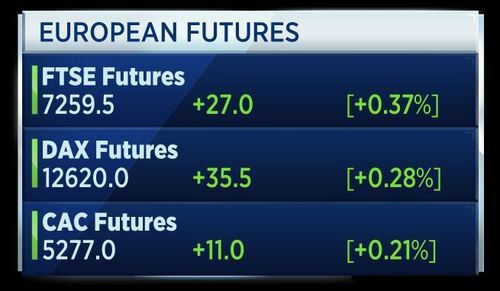 These factos have helped European markets rise at the start of Wendesday's session. We misjudged, says Fed Chair Janet Yellen, admitting inflation and the labour market are weaker than forecast, but adds the central bank should stick to its rate path. Siemens and Alstom launch a mega merger of their rail businesses in a bid to create a European champion to combat Chinese competition. Finnish power firm Fortum puts $9.5 billion on the table for Uniper, as former parent E.ON prepares to sell its remaining 46 percent stake. President Trump backs the tax framework set out by the Big-6 group of Senators, as Commerce Secretary Wilbur Ross tells CNBC a tax overhaul is badly needed. Steve Liesman reports on Fed Chair Yellen’s recent comments. Siemens and Alstom are merging their rail businesses, with the goal of creating a European powerhouse to deal with increased competition from China's CRRC. The new firm will have combined revenue of over 15 billion euros. Siemens will own just over half of the joint venture on completion. The French government has given the tie-up its blessing and Alstom CEO Henri Poupart-Lafarge will lead the joint operation. President Donald Trump says that America is prepared to take 'devastating' military action against North Korea. His comments come a day after Kim Jong Un's regime threatened retaliation in response to what it described as a 'declaration of war' from the U.S. Meanwhile, U.S. Commerce Secretary Wilbur Ross praised China's action on North Korea, telling CNBC that the PBOC's order to impose sanctions was a "very important one". A pro-business Republican Senator is the loser in an closely-watched American race. 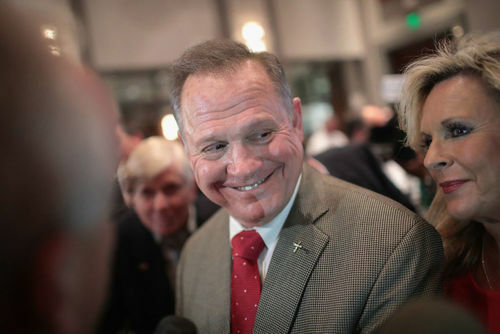 Religious conservative Roy Moore soundly defeated Alabama's sitting Senator Luther Strange in the primary. The Republican establishment and the White House had backed Strange. 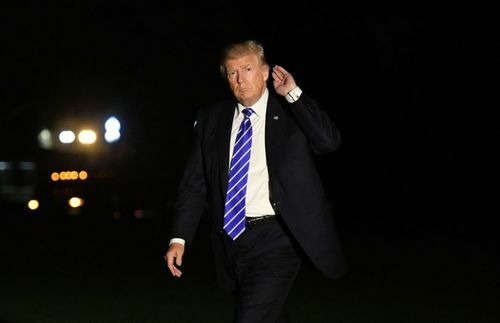 After the race, the President was quick to offer his support and congratulations to Roy Moore. The former judge gained notoriety for his defence of a controversial Ten Commandments statue at a state courthouse. 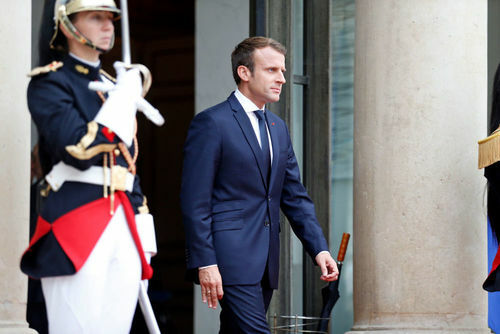 French President Emmanuel Macron laid out his plan for a stronger European Union, urging EU leaders to "be bold" against the threat of populism. In a speech at the Sorbonne University, Macron pushed for greater co-operation on security and the fight against terrorism. He also said a common Finance Minister would make the euro zone stronger. Finnish September industry confidence is at +10 points, while consumer confidence is at +23.7 points, according to statistics Finland. Fashion retailer Boohoo reports first half pretax profit up 41 percent to £20.3 million. Adjusted EBITDA is up 68 percent to 27.8 million, or 10.6 percent of revenue. The company sees full year revenue growth is now expected to be around 80 percent. Siemens and Alstom are merging their rail businesses, with the goal of creating a European powerhouse to deal with increased competition from China's CRRC. The new firm will have combined revenue of over 15 billion euros. Siemens will own just over half of the joint venture on completion. 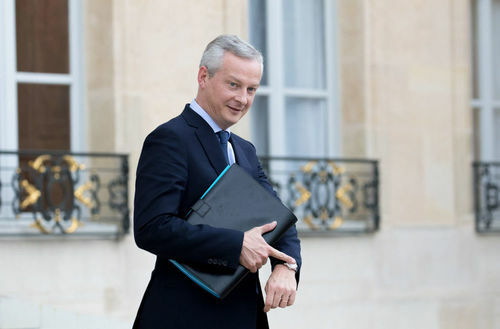 French Finance Minister Bruno Le Maire (pictured) says the deal is “good news” for European industry. He says the combined entity will be able to challenge world rivals. Maire says he is planning to visit Alstom’s Belfort site to reassure workers over their situation. 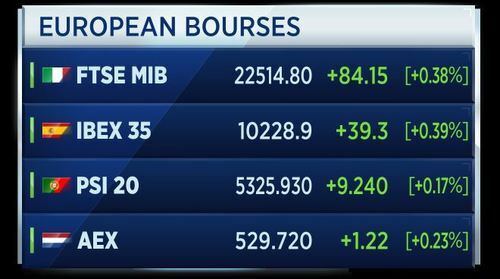 European markets look set to open higher this morning, following the hawkish stance by Fed Chair Janet Yellen which firmed expectations of a December rate hike. The head of Alstom sees the deal with Siemens will cost around 250 million euros, but sees synergies in the signalling part of the deal coming from research and development areas. The CEO says they are confident that they will find a solution with the European Commission on antitrust issues. Alstom's CFO says the new entity aims to make investments in Russia and China. French consumer confidence dips to 101 points in September from 103 points in August, according to INSEE. It was seen at 103. The Russian foreign ministry says it is encouraging Iraq and Kurds to hold talks to find a mutually acceptable solution within the framework of a single Iraqi state. The ministry warned against steps which could destabilise the Middle East following the Kurdish independence referendum. The ministry says Moscow respects the Kurds' national ambitions but favours preserving the integrity of Iraq. 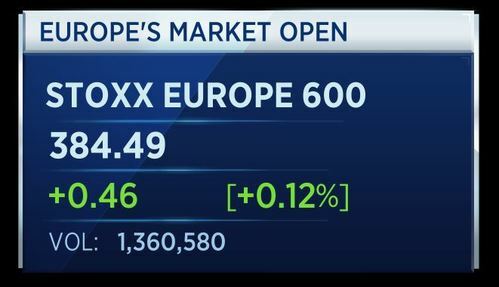 European markets are now open and moving higher on the back of hopes that the Trump administration will deliver on tax reform and the Fed will raise rates in December. Stocks in cyclical sectors such as basic resources and banks appear to be gaining the most at the start of Wednesday trade. 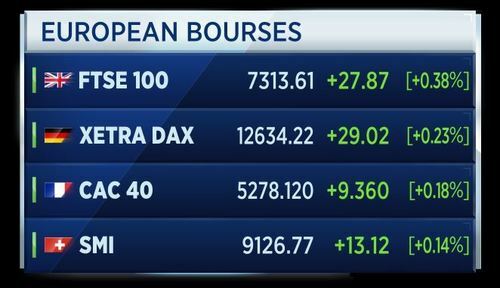 Here's how the individual European bourses are performing. Sweden racked up a trade deficit in August of 5.4 billion Swedish crowns. Imports grew to 105.3 billion crowns in August from 95.1 billion in July, while exports only grew to 99.9 billion crowns from 93.2 billion in July. Household lending in Sweden grew 7.1 percent year on year in August, according to the stats office. 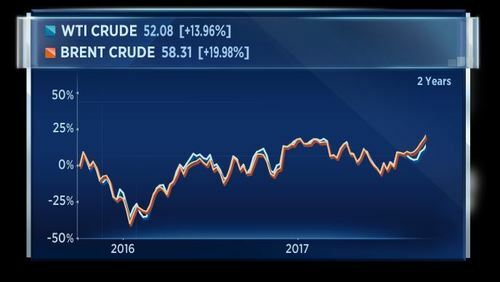 Oil prices are flirting with 26 month highs after fresh US data showed a surprise drop in crude stocks, as refineries ramped up production. Meanwhile, a threat from Turkey to cut off a pipeline that supplies half a million barrels per day from Iraq is also providing a boost to prices. Saudi Arabia's Finance Minister has told bond investors that Saudi Aramco's IPO will go ahead in 2018. According to Reuters, Mohammed al-Jadaan made the comments during a presentation to the investors. Previous reports suggested the oil company was preparing contingency plans for a possible delay into 2019. Meanwhile, Saudi Arabia has lifted the world's only ban on women driving. King Salman made the announcement in a royal decree, saying that women will be allowed to obtain driving licences starting from June 2018. The move is being seen as an attempt to modernize the country's oil dependent economy. It was immediately criticized by conservative Saudi commentators. We'll close the blog at that. Join us again tomorrow!